Are you ready to see Thomas like you’ve never seen him before? This year, Thomas TALKS and his face is animated (his eyes and mouth move!) Just like in the movies! Bug was SO excited when Thomas pulled up and started talking! (I hope to have video of it up soon). The 2014 Ride the Rails tour doesn’t disappoint! We enjoyed our 25 minute ride on Thomas and having our picture made with him. Then we had lunch, bounced in a bouncy castle, played some putt-putt and met Sir Topham Hatt! Oh, and we heard a story and watched a movie in a REAL train car, played in the sandbox and blew bubbles! Then we spent a LOT of time in EVERYONE’S favorite part of A Day Out with Thomas… (ok, maybe it’s just the second favorite – but seriously, no one doesn’t like) THE IMAGINATION STATION. What is the Imagination Station you ask? It’s a huge tent full of train tables – both wooden and battery-powered tracks, Mega Block Thomas sets, coloring sheets, temporary tattoo station and NEW this year, a table with mounted iPads with tons of Thomas games and storybook apps to play! We saw Thomas at The Heart of Dixie Railroad Museum in Calera, AL. There is ONE MORE weekend to catch Thomas there. 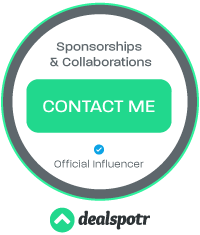 Thomas will be chugging around Calera April 5th and 6th. 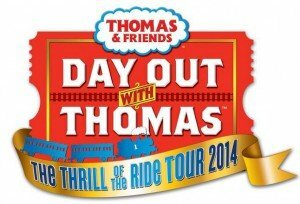 If you want to find Thomas at a location near you in 2014, check the Day out with Thomas schedule here. Some activities are specific to the location Thomas is at – not all locations have putt-putt, bubbles, and bounce castles. 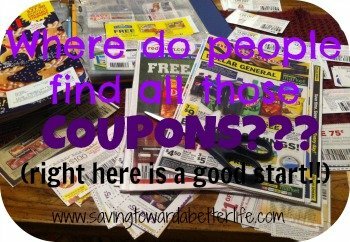 But they will have their own activities unique to their location. And EVERY Day out with Thomas event has the Thomas train ride, picture with Thomas, meet and greet with Sir Topham Hatt, Storytime/Activities, the gift shop tent and the Imagination Station tent! Check out a couple videos from our train ride! Plus, you can see more on our YouTube channel here. 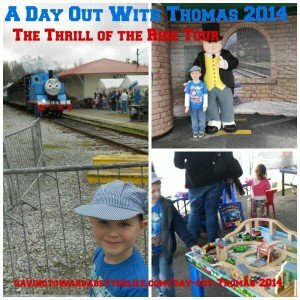 Day Out with Thomas: The Thrill of the Ride Tour 2014 is a fun-filled event that provides children of all ages the opportunity to climb aboard and take a ride with Thomas as well as participate in Thomas & Friends themed activities. The tour, now in its 19th year, will make stops in 42 U.S. cities and is expected to welcome nearly one million passengers in 2014. For two back-to-back weekends, little engineers and their families are invited to take a 25 minute ride on their favorite engine, meet Sir Topham Hatt®, Controller of the Railway and enjoy a day of Thomas & Friends themed activities including arts & crafts, storytelling and more. The Heart of Dixie Railroad Museum will also offer a Jumpstation, Bubble Station, Sandbox, Maze, Putt-Putt Golf, and live music. Thomas the Tank Engine rides depart every 45 minutes, rain or shine. Departure times begin at 9:00 am through 4:30 pm on Saturdays and 9:45 am through 3:45 pm on Friday and Sundays. 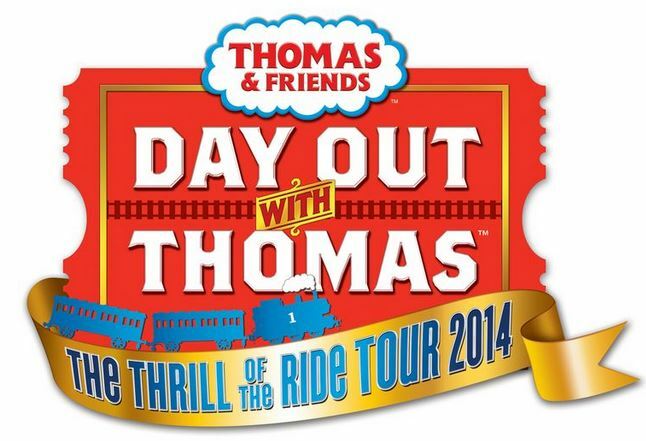 Tickets for the Day Out With Thomas: The Thrill of the Ride Tour 2014 are $21 for ages two and up. 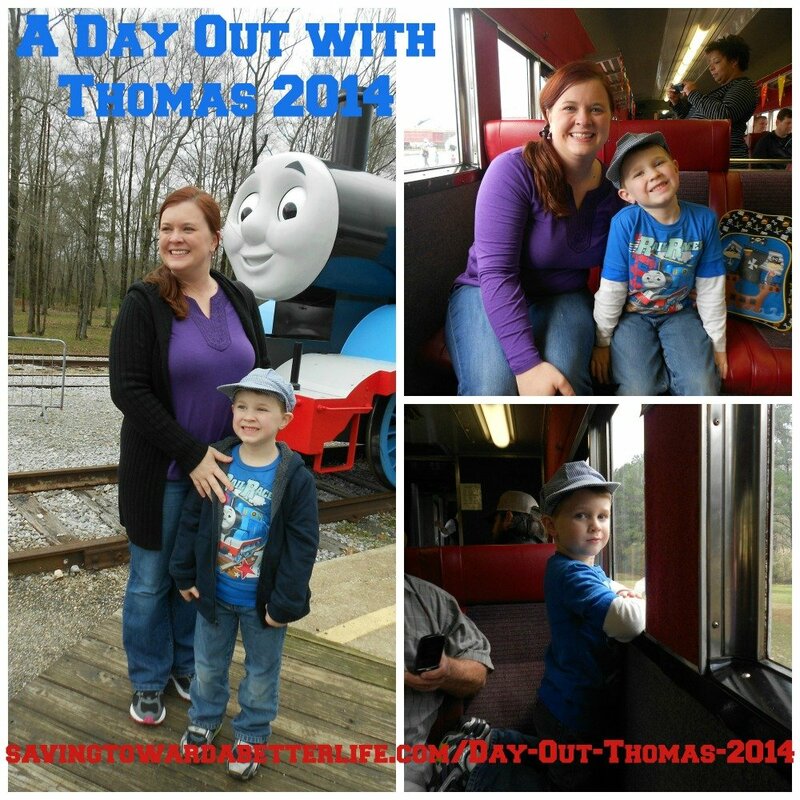 It’s no secret we love Thomas and A Day Out With Thomas is one of our favorite yearly events! Bug is 5 this year, and I don’t know how many more trips to see Thomas we have left, because I know he will eventually grow out of it. So I’m going to enjoy it while I can too! Last year we saw him in at the Heart of Dixie Railroad Museum in Calera, AL, for the second time. You can read more about our Day out With Thomas on the 2013 Go Go Thomas Tour here.